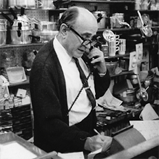 My family has been selling hardware for four generations at Scheman & Grant in the Garment District. I started working there when I was 13 when my grandfather ran the store. My dream has always been to open a hardware store in my own neighborhood. My wife, Annie, a psychoanalyst, and I have lived in Tribeca for 25 years. Both of our daughters went to P.S. 234. “Tribeca Paint” opened its doors on May 16th, 2010 at 217 West Broadway (right around the corner from our apartment). We're a full service paint, hardware, and home appliance store, with a large selection of Tribeca's most popular brands. We've also included our window fashion and lighting design departments—well known in the mid-town area. We've taken special care to include products that are environmentally safe; from paints and painting tools to cleaning supplies, light bulbs, and HEPA vacuum cleaners—we even have a selection of “green” window treatment options.